You have already seen some screenshots in the screenshot topic; there is a new route in production. I think it is time to tell you something about this. I am building a new fictional metro network under the name "Rijndam". It might seem this name was chosen to fit the "R" in RET (the transport company of Rotterdam), but this is not the case (it is just a conviniënt coincidence). The name Rijndam (Rhinedam for Englisch speakers) was inspired by the idea "What might my home city (Leiden) be called if it where named in the same way as the two cities in the Netherlands with metro networks? Although the name of the metronetwork is inspired on the city Leiden, the similarity ends there; there are a few exceptions (names of a few of the stops), but the network is not based on Leiden. It is inspired by elements of the metro network of Rotterdam and the prémetro network of Charleroi. The Charleroi element is the use of a city centre loop, with branches into the suburbs. The parts Noorderpoort (Northern gate) - Panbos (on line M1) and Noorderpoort - Rijndam Airport (line M4) are build as former local railways, and are equipped with overhead whires and ZUB train protection. The citycouncil of Rijndam has linked these lines to the metro network, so they could increase services on the lines and re-develop the site of the former Rijndam Noorderpoort trainstation into a business district. Line M1 is a single track line beyond Noordvliet, with a passing station at Rijnwoude Dorp. The lines M2 and M3 continue from Station Westplein (station western square) as Sneltram (overhead whires and level crossings) to their destinations Monument and Rijnland Ziekenhuis. At the central station, these lines connect to each other (a line M2 metro continues as line M3 and vice versa), so all stations on the city centre loop can be reached without passengers needing to change trains. Line M4 uses the city centre loop counter-clockwise; this way, all city centre loop stops have a direct connection to and from the airport. From Noorderpoort to the airport, line M4 runs under ZUB train protection. The entire city centre loop, as well as one station out on each of the branches, is build underground. The rest is on the surface, except for the airport station; line M4 goes underground again shortly before arriving at the airport. The network has 3 depots; the main depot at Molenwijk (with a railway connection), a converted freightyard near Station Westplein, and a smal depot at the airport. And finally there is a transport museum in order to display the oldest metro's. This museum lies at some distance from the nearest metro station. Therefore, there is a short museumline where museum metro's can shuttle visitors to the museum. This line has been build as a former freight connection along the former railway (now metro) to Panbos. This is in ZUB controlled territory, but the museumline has been equipped as an 'ATB island' (and with 3rd rail) in order to run the old metro's. Last edited by Sjoerd on 02 May 2018, 18:09, edited 2 times in total. As someone who creates routes in his freetime (for Trainz) I´m kinda interested in how long it did take you to create Rijndam... Seeing that it´s a 3.10 Map I guess you have to wait until the release of the update. Actually just from the Map it looks like T-Bane Oslo. 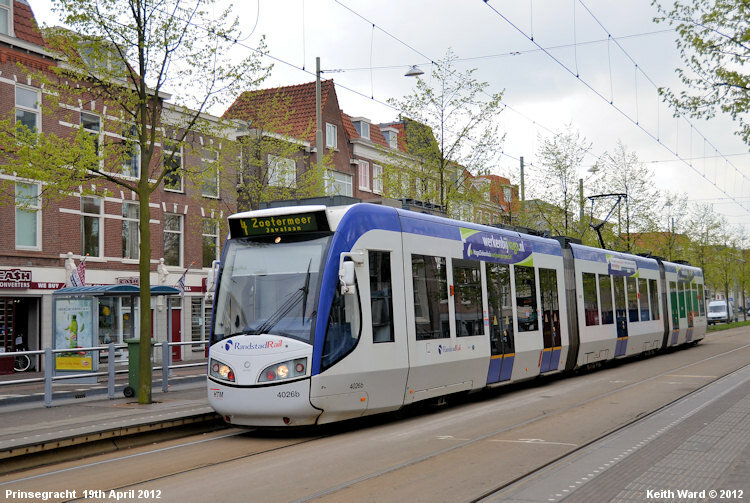 Actually the new T-Bane trains would fit kinda well for Rijndam despite they don´t have a panthograph. Yes, when it is finished, you will have to wait until Michiel releases a new version of Metrosimulator; I am using objects which version 3.9 does not have. I have started building about 7 weeks ago (it seems a lot longer ), and I have spend multiple hours a day every day since. Before that, I had already made a complete design of the network (and I have only changed some tiny details while building). I see you are the first to make a looping line. I was going to do that if map mod tools became public. I'm trying to be the first to make a line that street runs like most American city light rails. LosAngelesMetro56 wrote: I'm trying to be the first to make a line that street runs like most American city light rails. I have taken a look at this "Los Angeles's Blue Line" you mentioned, using Google Streetview. It does have tunnel sections and a few free-track sections, but overall I am getting more of a tramway feeling then a subway feeling. I think Michiel would prefer to keep it just as "Metrosimulator", meaning metro lines (or subway lines, as they are called in the US), and you might have more succes if you pitched the purple or red lines. Have you checked out the crossings on the free running section? That's the majority of the route: Between Willow Street in Long Beach, and Washington Station in Los Angeles. All the crossings in between that radius are cab signal(free running). And the line shares the right of way with Union Pacific(an industrial freight train company) between Washington(LA) and Del Amo(North Long Beach). 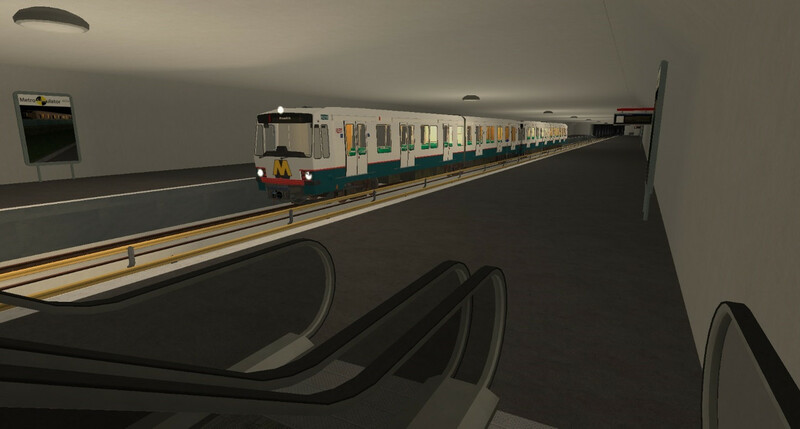 The MetroSim engine with the shaking and so is perfect for tram/light rail lines. As long as the editor allows tight curves you can make tram routes with it. 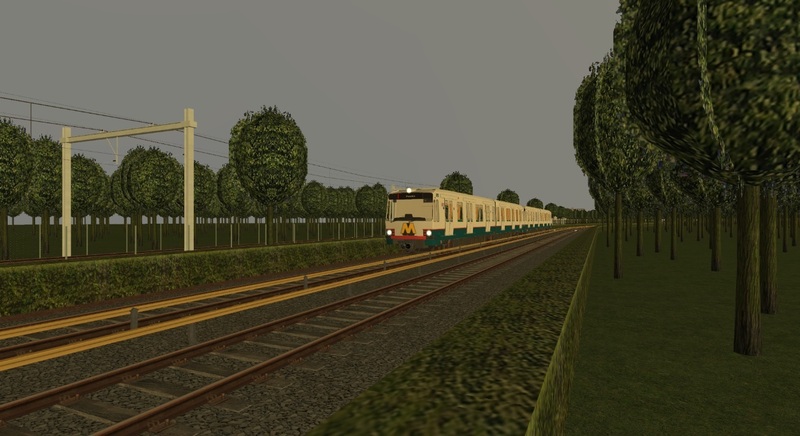 Actually I thought about doing that if the editor is in a releasable state as an addition to my "Tramburg" project since I haven´t seen one good european tram simulator/route yet. @LosAngelesMetro56: If you are the first one to make street/regio tram line I won ´t steal that but focus on maybe a nuremberg or hamburg (heavy metro) line instead. Actually I would be very happy to get a nice tram line where I don´t have to do all the work myself. And the Green Line Freeway runs. Just in case you were wondering, freeway is the American term for expressway. The Green Line freeway runs almost the whole route until it gets to the airport than heads south with 4 remaining stations to Redondo Beach. But back to your map, I really wanted to be the first to make a line with a loop. R.I.P. my dream. Oh well, another time than.